Living 1400 miles away from my parents, it's hard to guess what to send them for birthdays and other holidays. They definitely have everything they need and want, so trying to find something that is a fun surprise is always a challenge. 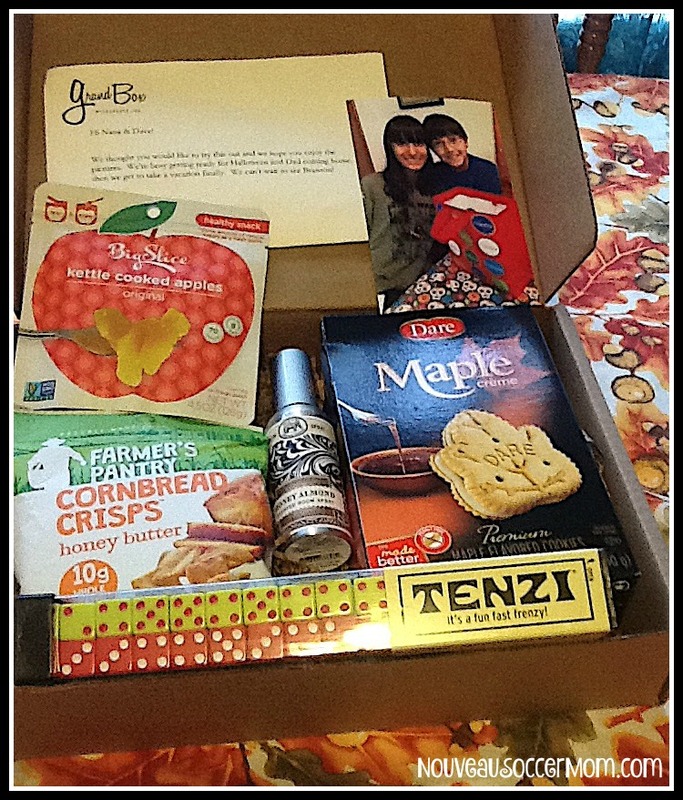 This month, we're excited to be checking out GrandBox with them, to see what this fun subscription box for grandparents is all about. We ordered the October box for them and it arrived this week. With some photo help from my mom, we're discovering a fun way to surprise the grandparents in your life, even if you don't live nearby. My parents enjoyed the surprise, especially the pictures of their grandkids and grandpuppy. While I generally send pictures via text or email, it's rare that I have ones printed. I love the idea of the updated photos monthly. In general, we are all loving the Grandbox idea. The monthly concept is perfect for those who are hard to shop for and it's a great way to try out new things that you wouldn't always think of purchasing. I'm pretty sure my dad has already eaten all the maple cookies, and my mom was planning on an ice cream dessert with the apples. The dice game will be one of our Christmas activities when we head to visit over the holidays. We think GrandBox is perfect for those hard to shop for grandparents, as well as those who may not have the room to store larger gifts. Both of my own grandmothers moved into senior apartments when managing a house got to be too much for them and I think both would have enjoyed the monthly mail idea. 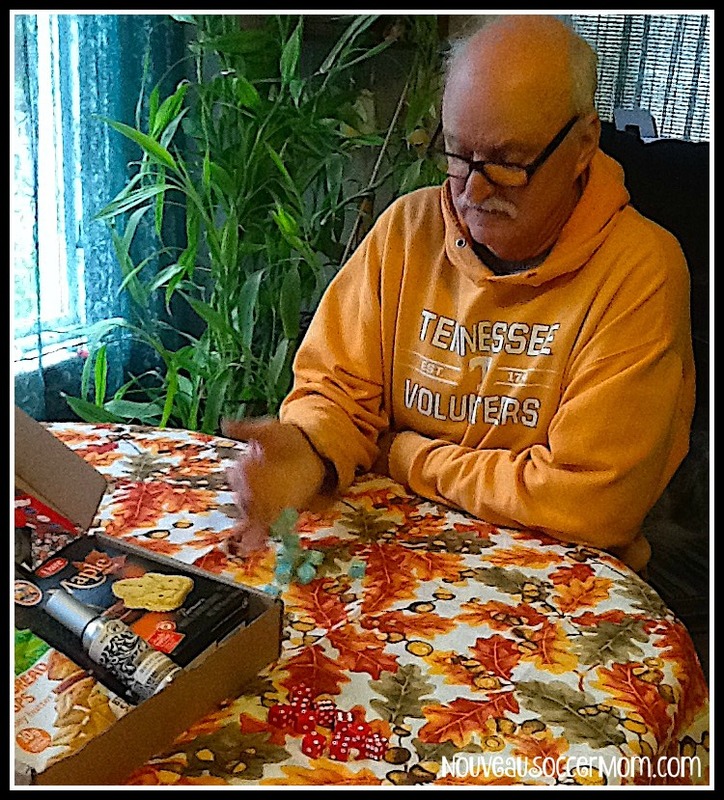 This holiday season, it may just be the perfect idea for the seniors in your life. Packages begin at a 3 month subscription, but it's possible to order month-to-month as desired. 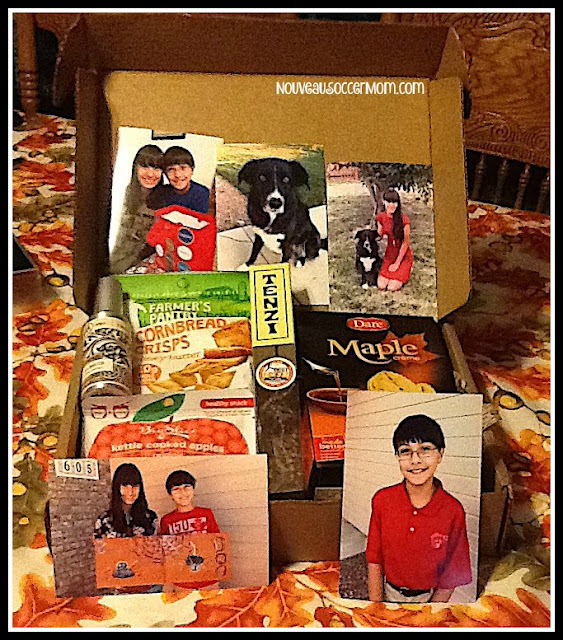 Each box contains a minimum of five full sized products, along with five photos that can be digitally sent in and a personalized letter. Visit http://MyGrandBox.com for more information or to order. Disclosure: This post was written as part of my relationship with USFamilyGuide. We received a GrandBox to send to my parents for the purposes of this review.